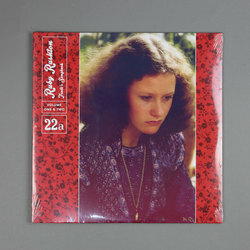 Ruby Rushton - Trudi's Songbook Volume One & Two. Vinyl LP. Bleep. It’s buttery smooth, as funky as Herbie Hancock’s Headhunters, and out-there skittish where necessary; it’s front-running jazz quartet Ruby Rushton. Fronted by composer and arranger Edward Cawthorne’s vivacious flute, the pieces on Trudi’s Songbook Volume One & Two sway and jive with masterly composure, willing and able to loosen up and recompose at the drop of a hat. This lounge music, but you’ll find it hard lounging for too long.